In 1961 Charlotte, North Carolina, the predominantly black neighborhood of Brooklyn is a bustling city within a city. Self-contained and vibrant, it has its own restaurants, schools, theaters, churches, and nightclubs. In 1961 Charlotte, North Carolina, the predominantly black neighborhood of Brooklyn is a bustling city within a city. Self-contained and vibrant, it has its own restaurants, schools, theaters, churches, and nightclubs. There are shotgun shacks and poverty, along with well-maintained houses like the one Loraylee Hawkins shares with her young son, Hawk, her Uncle Ray, and her grandmother, Bibi. Loraylee’s love for Archibald Griffin, Hawk’s white father and manager of the cafeteria where she works, must be kept secret in the segregated South. 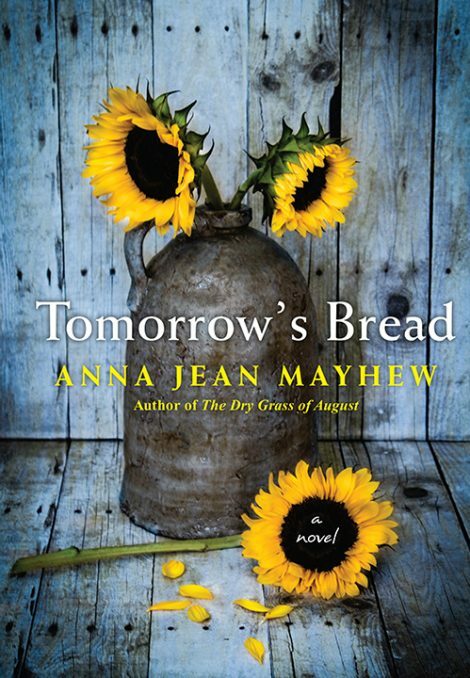 Anna Jean Mayhew’s first novel, The Dry Grass of August, won the Sir Walter Raleigh Award for Fiction, and was a finalist for the SIBA Book Award. 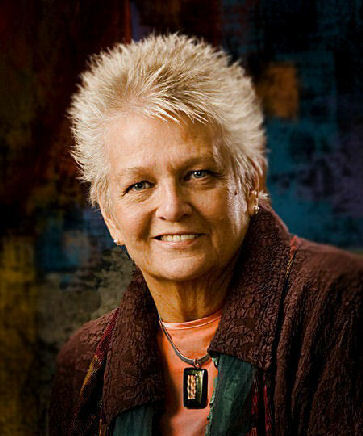 A native of Charlotte, North Carolina, she has never lived outside the state and her work reflects her vivid memories of growing up in the segregated South. Tomorrow’s Bread is her second novel. 1. There are three narrative voices in Tomorrow’s Bread, one is first person and the other two are third. Did the different narrative voices affect how you perceived the characters? 2. Many of the characters have a missing or absent parent. Why do you think the author chose such a family structure? 3. Because of laws against miscegenation, Loraylee had to conceal her relationship with Mr. Griffin, but why did she wait until Hawk was nine to tell him about his father? 4. Senility in an aging relative is common for many of us. Was Bibi’s progressive dotage accurately portrayed? 5. Which of the major characters–Loraylee, Eben, and Persy–was most important for you, and why? 6. The magnolia in the front yard of Loraylee’s house on Brown Street weaves in and out of the story. What is the significance or symbolism of that tree? 7. Was it realistic for you that White patrons would have availed themselves of services like Tyler’s Shoe Repair and Roberta Stokes, the seamstress? 8. When you first saw the title Tomorrow’s Bread, what did it suggest? After reading the novel, does the title have a different meaning for you? 9. What was your favorite chapter? 10. Which character changed the most in the novel? The least? 11. If you had an opportunity to talk with one of the characters, which one would you choose? 12. Jonny No Age apparently is beaten to death because he’s gay. Were you surprised that homosexuality was so disliked and feared in the 1960s? Do you think the same thing would happen today? 13. Was the conclusion of the novel believable? Satisfactory? 14. How do you imagine Loraylee and her family would be doing today, 50-plus years later?